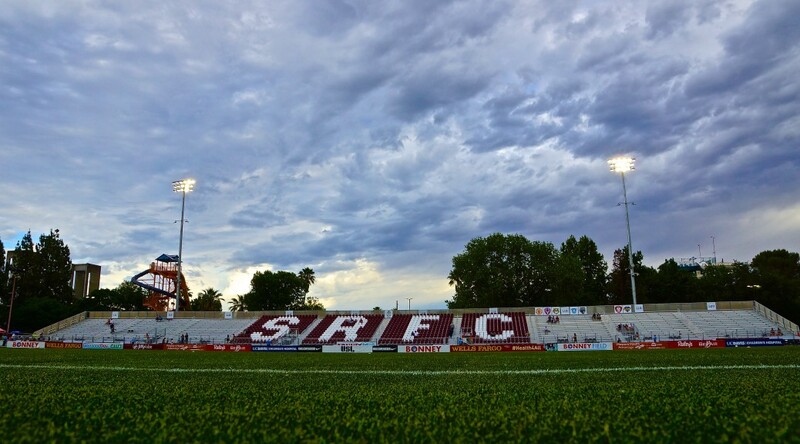 Sacramento Republic FC and Rio Grande Valley FC Toros shared a point after battling to scoreless draw in front of a loud and proud crowd at Papa Murphy’s Park. After some back and forth action in the first 20 minutes of the match, Rio Grande Valley FC Toros nearly capitalized on a defensive miscue from Republic FC. Forward Jose Escalante charged down the left side of the field after a lofted through ball. Defender Elliott Hord tried to shield Escalante and let Republic FC keeper Evan Newton scoop up the ball in the box, but Escalante darted in front of Hord and flung his left foot at the ball, sending it right on goal. Newton was able to react quickly and get a glove on the shot to make the save, keeping the match scoreless early. Republic FC had their fair share of chances in the first half with strong play from Harry Williams, Sammy Ochoa and Tyler Blackwood. Williams was able to thread some nice through balls to the forwards and Ochoa nearly scored a screamer in the 25th minute, but it sailed high and wide. Blackwood came the closest in the 40th minute with a right-footed strike of his own, but Toros keeper Calle Brown read the shot well and parried it out of play for a corner. The half ended in a 0-0 deadlock. Republic FC’s first solid chance of the second half came in the 68th minute. Captain Danny Barrera found space on the right wing and held up play to wait for his teammates to make runs. Blackwood sprinted into the box as Barrera sent a left-footed, in-swinging cross toward the streaking forward. Blackwood dropped his head to send a shot on goal, but the ball just missed his head as it hit him in the back and rolled out of play. Defender James Kiffe linked up with second-half substitute Christian Chaney in the 78th minute for a cross and header, but Chaney’s near-post run was defended well by Brown as he was able to make the save. Minutes later Republic FC kept the pressure on with a left-footed curling shot from Blackwood. Brown made the initial save, blocking it straight up in the air. Ochoa tracked the rebound and got airborne for a headed attempt on an open net. Unfortunately, Ochoa’s attempt missed the target as it hit the side netting and went out of play. 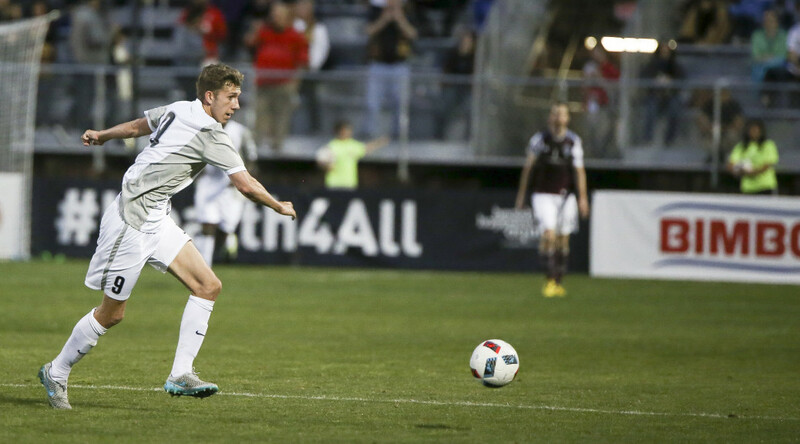 Brown came up huge again in the 90th minute to make a save on a header from Chris Christian. Barrera sent in a left-footed free kick and Christian won the aerial battle for the ball as he redirected the ball on net. Brown was positioned perfectly as he caught the shot in midair before crashing to the ground, securing the save. Evan Newton, not to be outdone by his counterpart, made an equally impressive save in the dying moments of the match as he leapt in the air to block a dangerous free kick up and over the bar to keep the match scoreless, which it would stay until the final whistle. Republic FC will travel to Reno on Saturday, Jun. 10 to take on Reno 1868 FC in a rematch of the pair’s U.S. Open Cup match on Wednesday, May 31. The match will be aired live on CW31.